Antidote for a hard day/week/term? 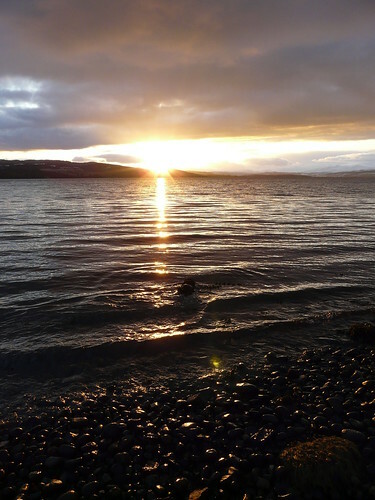 Watching my pup play in the firth as the sun goes down. i love the Ginito! that’s going to get an outing, maybe for the 6 nations! Try gin, ginger beer and lime too. Dash of lime cordial over a tall glass of ice, good measure of mother’s ruin and top up with a feisty ginger beer..quaff away. Exactly how cute is that little head tilt in the top photo? And you’re right, pets are the perfect antidote to work worries. You’d make things so much better for your mum. Also, look at the light on the water. Yowser. Beautiful, beautiful! Marco may just be the most adorable dog ever. Here I was moping on the couch avoiding work and this brought a great big smile for me. I am so jealous! However I can’t imagine trying to dry him off. Maybe airdry by running around? love, love his whiskers in that first photo. He does look very soaking wet. 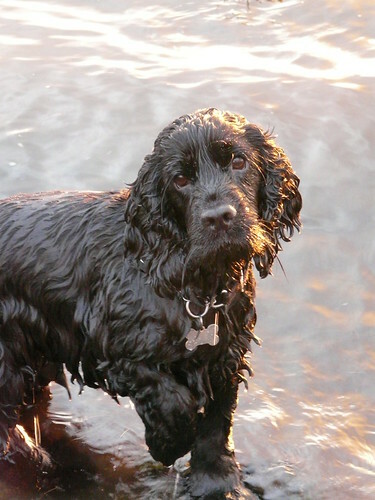 I don’t think any other dog breed looks wetter than a damp spaniel. 🙂 Dogs are a balm to the weary soul. 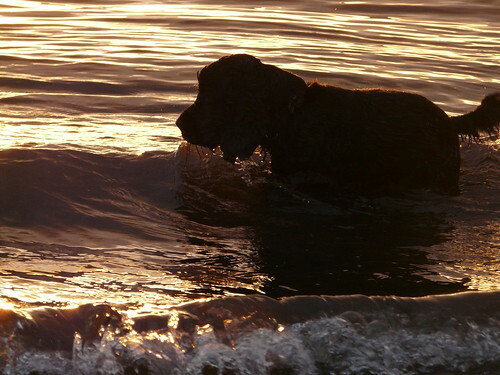 Ahhhh, he would brighten up anyones day, and what a beautiful where place you live, sigh! How cold was that water ? He’s obviously a very stalwart spaniel . He’s certainly cute – what wonderful photos. Great Pictures. I had asked your permission to paint your bird pictures. I have on my blog one of them, hope you approve. 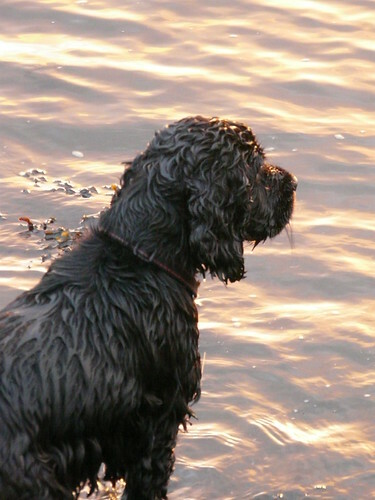 I think you have a very photogenic dog ~ has he done any modelling ~ apart from the photo shoots for ‘A wee bit of cooking’!? I try to take photos of my cat but she shuts her eyes, turns her back and walks away! !